The pupae emerge on the surface, or by rising to the surface and then swimming to shore. The generally tend to trickle off all day in numbers too few to attract much interest or notice from either angler or trout. 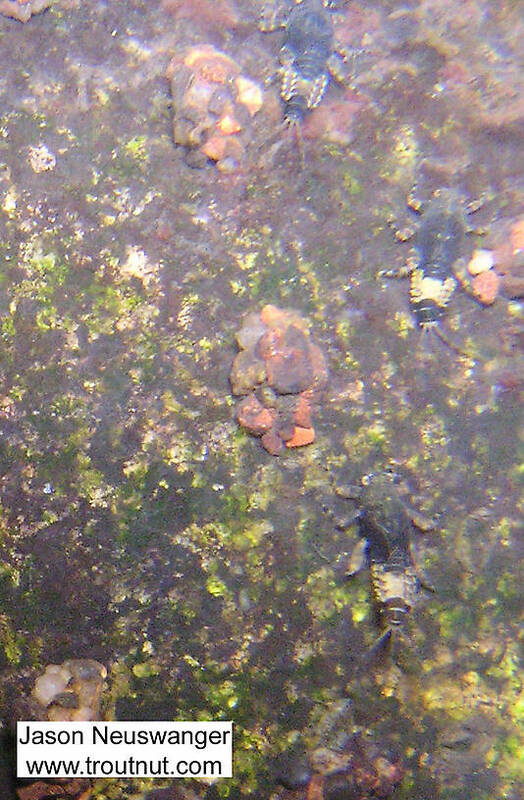 Females dive underwater to oviposit. They can swarm in tremendous numbers, often mixed with several species. Because Glossosoma cases are built to a fixed size, the larvae have to abandon them and build new ones as they grow. In the process they often accidentally or deliberately end up drifting downstream for awhile. 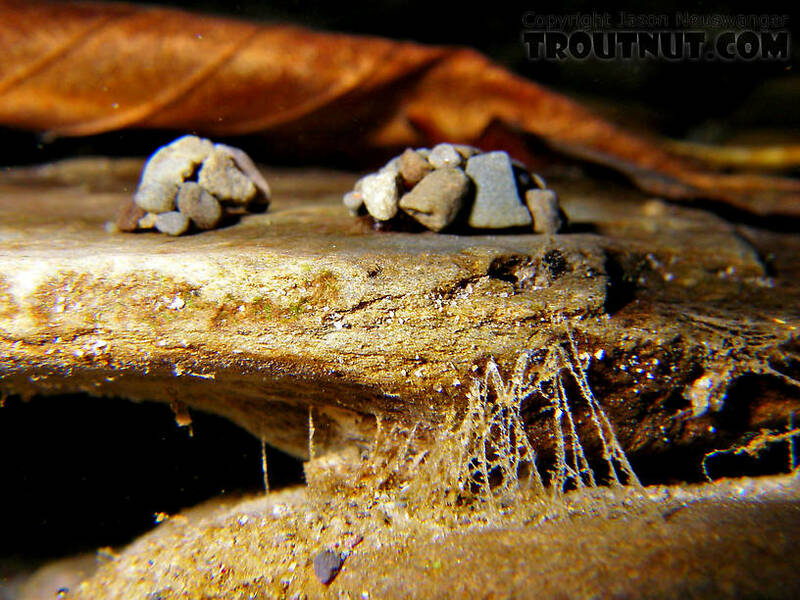 They synchronize this activity as tightly as most species synchronize emergence, prompting trout to feed selectively on the larvae. Even better news for the angler is this activity is diurnal. Unfortunately, the timing is not predictable and while generally a morning occurrence, it can happen any time of day. A further handicap is that the behavioral drift (Behavioral drift: The nymphs and larvae of many aquatic insects sometimes release their grip on the bottom and drift downstream for a while with synchronized timing. This phenomenon increases their vulnerability to trout just like emergence, but it is invisible to the angler above the surface. In many species it occurs daily, most often just after dusk or just before dawn.) is not visible. The angler will only know it's happening by periodically seining the drift or fishing proper imitations until the fish start to respond. This usually occurs several times during their development in the spring and summer. 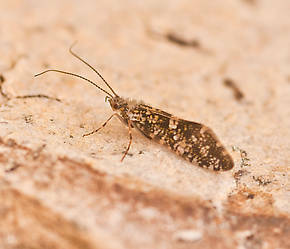 In Caddisflies, LaFontaine recommends imitating the naked pinkish-colored larvae drifting without their cases. They also come in shades of pale tan or yellow. I was thinking very dark olive w/a ginger shuck. Sound right to any of you? There are 323 more topics.